Looking for something to make that’s just a little different? 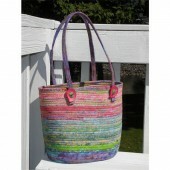 Try a bag like this! 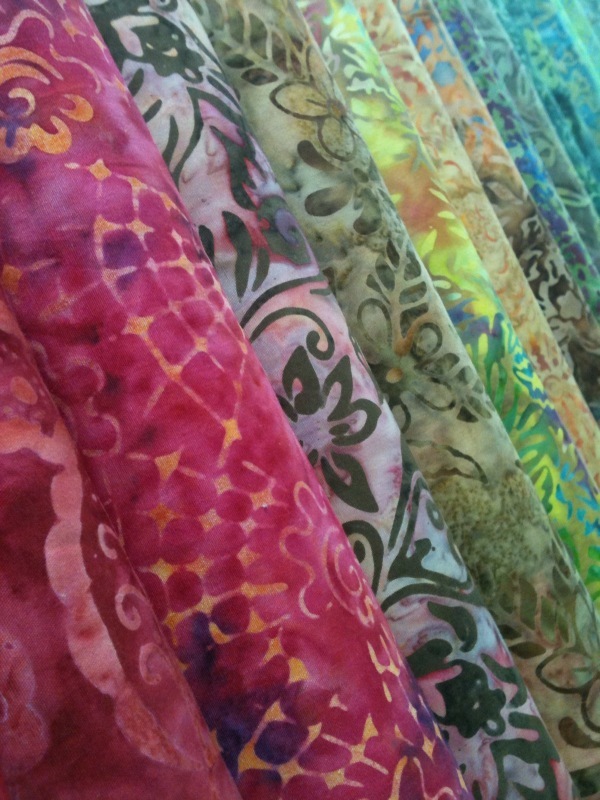 You just cut strips of different coloured batik fabrics then wrap and stitch them around a length of rope. The pattern ($12.95) describes the method and everything you need to make a bag roughly 30cm wide and 28cm tall. Buy the pattern online at hobbysew.com or come to one of our stores where you’ll also find an enormous range of batik fabrics to choose from. 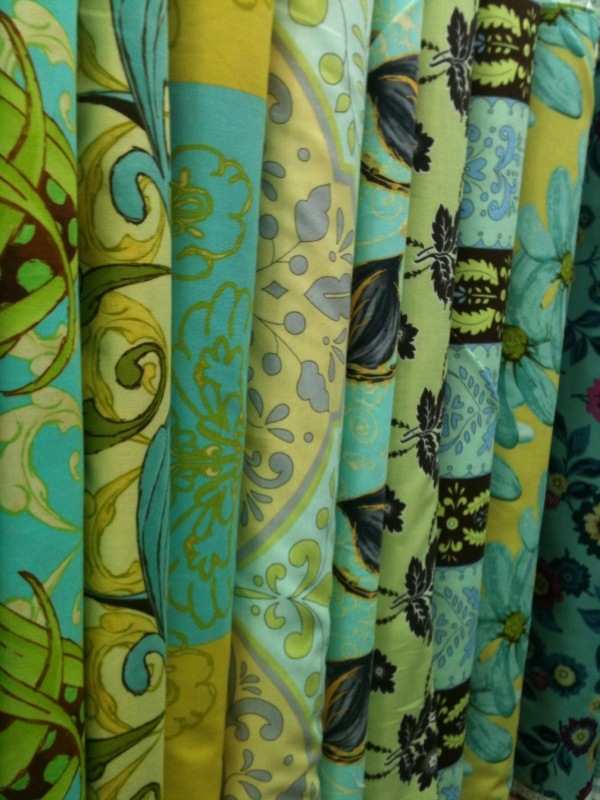 Hobbysewists can look forward to classes by the fabulous Monica Poole in the coming months! On June 8 at the Figtree store Monica will teach the Dragon Fly Quilt in a day-long session (10am – 3pm; $70.00). Choose a lap, single or queen size quilt and use sketch appliqué (raw edge) or blanket stitch to apply the dragon fly. All cutting will be done before the class. Wow, the colours are divine! At the Kings Park store, Monica teaches a new Block of the Month starting Wednesday June 15. It’s the divine new Peacock Garden. It’ll be something to treasure forever! The cost is $55 per month (class) plus $30 per month (pattern and kit). Click here for the dates. 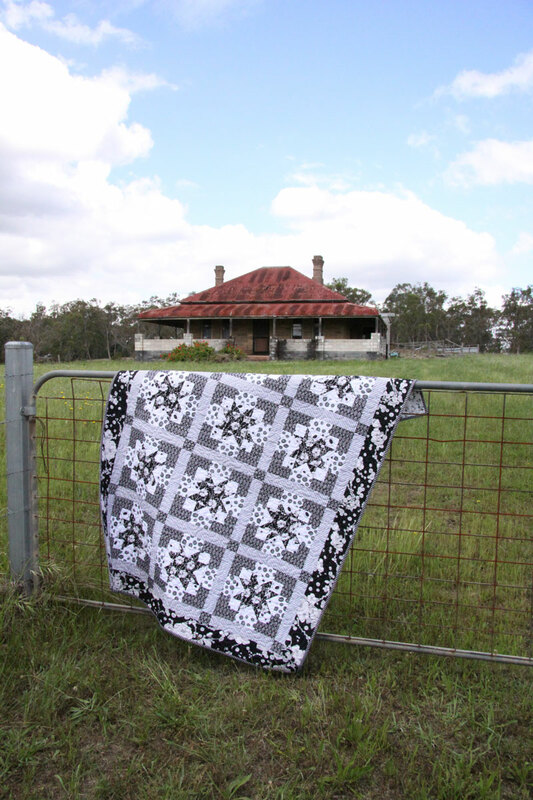 A fascinating documentary drawn from ABC Radio National’s archives went to air this weekend and if you are interested in the history of quilt making you should have a listen. 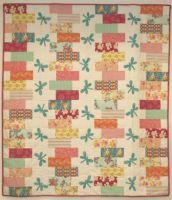 In the documentary from 1996, Judy Kampfner’s investigations took her into quilt-making bees, quilt shops, university history departments and quilters’ homes. Go to the Radio National ‘Replay’ website to listen to the audio. It’s well worth it! 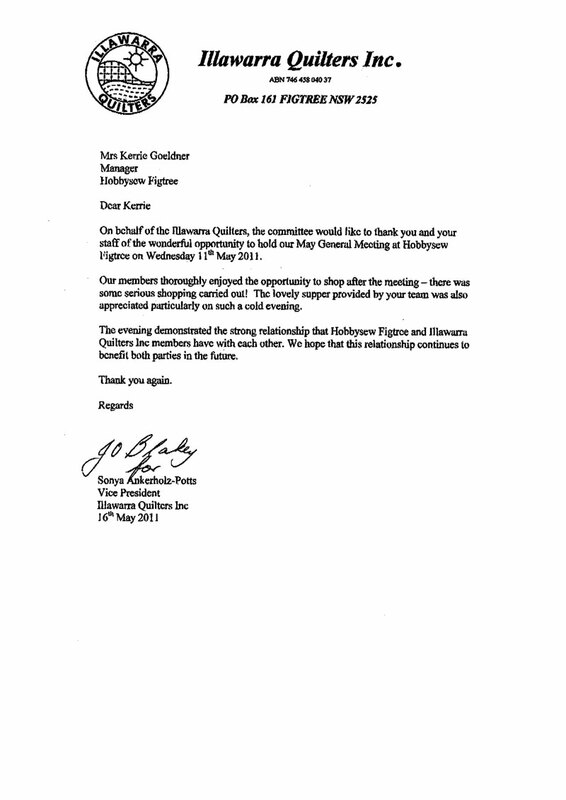 Hobbysew Figtree & Illawarra Quilters Inc.
Hobbysew has put together a large display of both Koala and Tailor-made sewing furniture. These pieces of furniture is not just about storage of your sewing needs. 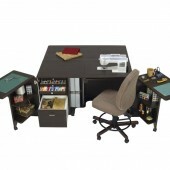 But all about creating the ultimate work environment for your craft. If you live in Perth, this is your ideal opportunity to actual touch and feel the beautiful range. So pop buy and visit us at our Hobbysew Stand F18! Here’s an opportunity to unleash your creativity! The Hobbysew store at Belconnen is hosting classes by art quilter Helen Godden on Thursday June 2 and Friday June 3. 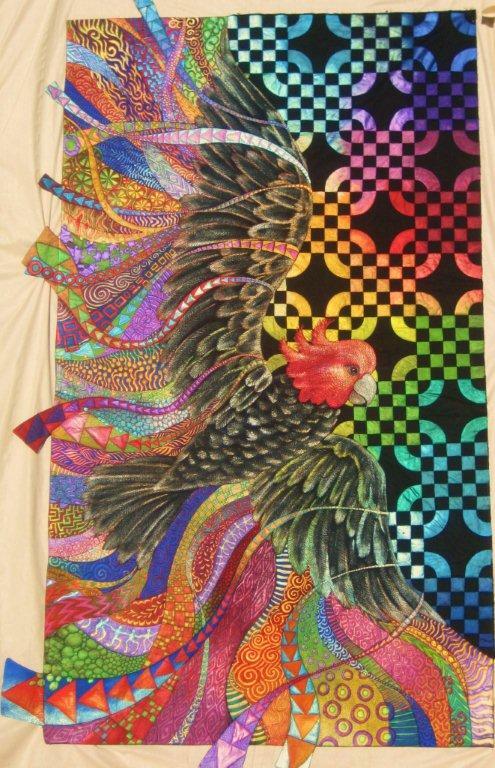 Using metallic and pearlescent acrylic paints, Helen shows how to create a quilt in the style of her Freedom quilt above. You’ll be working on a smaller scale than this magnificent 2.2m tall quilt but essentially learning the techniques Helen has developed to create her colourful quilted artworks. 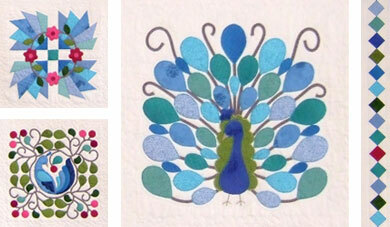 You will be able to choose from several designs that will combine painting with machine quilting. It promises to be a memorable experience! Contact the Belconnen store for details. Now that some wintry weather has arrived, there’s no better time to settle down to some sewing or patchwork. And if you need a little push to get started, why not sign up for a class? 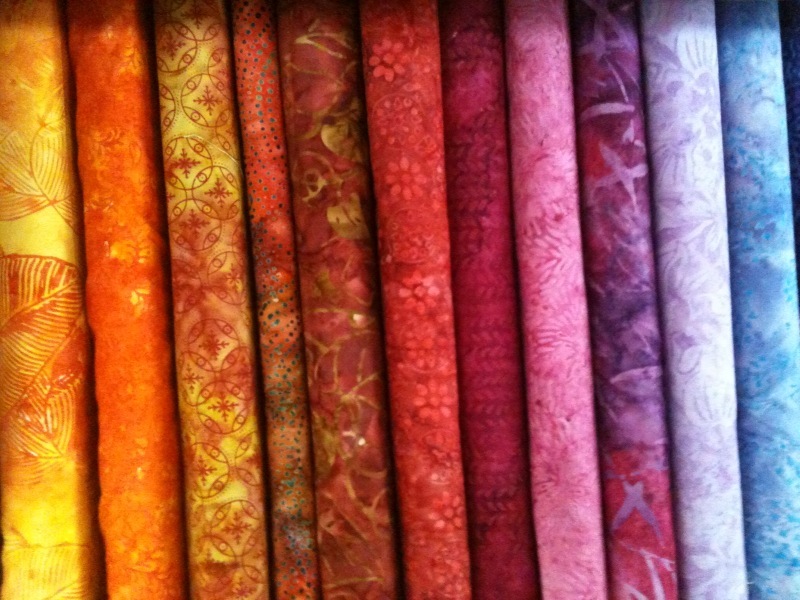 There are so many choices at any of our Hobbysew stores… from hand- and machine-embroidery to patchwork and dressmaking. “Get to know you machine” and “Conquer your overlocker” are designed to help you get the most out of the equipment you own, whatever the brand. And if you are looking for something else, contact your nearest store as there are classes in stumpwork, papercraft and all sorts of exciting crafts at selected locations.